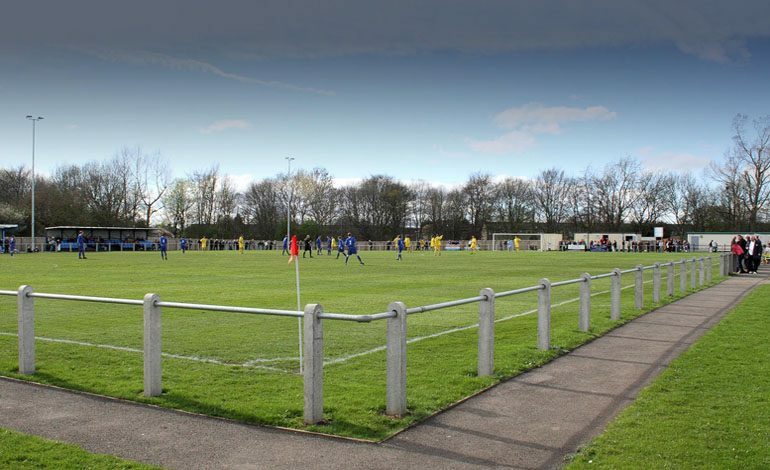 Newton Aycliffe went down 5-2 at home to table-topping Dunston. A new management team of Allan Oliver and Danny Mellanby saw their side give a good account of themselves. They played with 10 men for 70 minutes, and the scoreline didn’t reflect the play. Aycliffe created the best chance in the opening exchanges, with Marc Costello seeing a header hit the post. It was Dunston who made the breakthrough though when a quick breakaway led to Fitzpatrick being put through and he made no mistake past Adam Pickford. Aycliffe suffered a massive blow on 22 minutes when Josh Rodgers was unlucky to be sent off for Aycliffe. Aycliffe were still creating chances, and Ethan Wood and Josh Home-Jackson both got shots in, but didn’t trouble Dunston keeper Harrison. Dunston hit the bar on 33 minutes and three minutes later, they went further ahead when Elliot burst through and slotted past Pickford. The second half was fairly even until Dunston got a third on 69 minutes. Nellis found a bit of space at the far post and hit a powerful shot high into the net. Aycliffe pulled one back six minutes later when Costello headed in a Wood free-kick. But Dunston killed the game with two goals in three minutes late on, with Fitzpatrick getting his hat-trick. Aycliffe pulled another back two minutes from the end, with Stuart Thompson finishing off good work by Kurt Matthews.